Nationalism and Food: Do Americans Have a Food Identity? But I’m wondering if, in the modern world, food preferences can play this role as an anchor of national identity. Of course, in Brillat-Savarin’s 18th Century world there was a straightforward sense in which what you ate was an indicator of who you are. Although there was substantial trade among nations, most food was so perishable that people ate what was grown or raised in their local regions, and thus what they ate reflected their geographical origins. If there was something unique about the products or dishes arising from that region, then one’s food preferences inevitably indicated one’s origins, especially if that food was unavailable elsewhere. But today in our global food and information market where foods and recipes from all over the world are widely available, food preferences need not be so dependent on geography. But the question of identity is freighted with more baggage than a mere indicator of geographical origins. Much depends on what we mean by “identity”. In one sense “identity” refers to a social category. People who belong to a category are labeled as such in virtue of some distinguishing characteristics they share. Thus, someone born or raised in Texas is a “Texan” in virtue of that fact. This person raised in Texas might also eat smoked brisket, a staple of Texan cuisine. But that fact doesn’t make her a Texan, since many Texans don’t eat smoked brisket and many non-Texans do. What one eats doesn’t necessarily tell us into which social category one fits. No doubt such food-related identities can be important. After all, immigrants often go to great lengths to preserve the foodways of their countries of origin, because it gives them a sense of attachment that is deeply meaningful. But this sort of identity is entirely optional. Many people take no special pride in what they eat nor do they take what they eat as some indicator of their distinctiveness as persons or commitment to a nation. Yet they suffer no loss of their sense of belonging. So in this second sense of identity, Brillat-Savarin’s remark seems false as well. 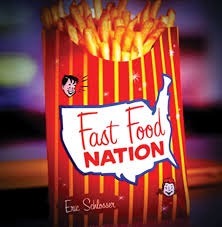 I think there are cases in which food does anchor something like a national identity. France comes to mind because the French take their food seriously, and France has had a centralized government for centuries that actively fostered a sense of cultural identity through their foods and wines. There may be other nations or regions where cultural and political institutions consciously intensify a sense of belonging via food—the regions of Italy come to mind. In the not-too-distant past, we might have pointed to anti-gourmandism, a utilitarian approach to food, and nutritionism as defining characteristics of American food practices, but thankfully, the food revolution in the U.S has laid waste to those dreadful traditions. I am not claiming that food cannot or is never invoked as a source of identity. We do eat with our imaginations and the imaginations of some people clearly run in that direction. People often use food as a convenient marker of identity, but it is too unstable and fraught with exceptions to succeed in that role. As a general source of communal belonging, in the U.S., it is hard to see particular food preferences as supplying that glue that bonds individuals to their community.